What if the action froze or buffered right there for the people around the world watching the live streaming video? What if they couldn’t see whether the pitch turned into a game-ending out or a walk-off win? There’d be an awful lot of very unhappy baseball fans. Those are the stakes for MLBAM, the 16-year-old technology company of Major League Baseball dedicated to delivering world-class digital experiences and distributing content through all forms of interactive media. While it’s perhaps best known for developing the platform that lets people watch virtually any Major League Baseball game from virtually anywhere in the world on virtually any device, it does much more, for Major League Baseball and a variety of other high-profile media partners—all managed with help from New Relic across its entire technology stack. Born in 2000, and now New York’s largest born-and-bred technology company, MLBAM began with a prescient mission to build and run technology services for Major League Baseball (MLB) and its 30 teams. 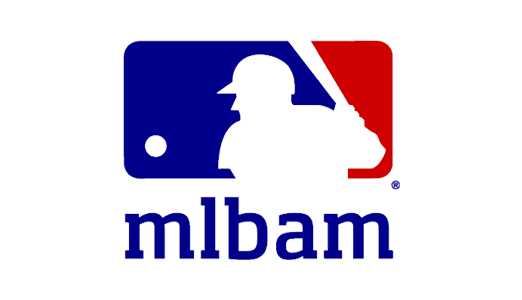 MLBAM provides all technical capabilities, including running the websites (MLB.com and team sites), ticket purchasing, game and video distribution, and statistics collection and distribution. MLBAM also provides over-the-top streaming infrastructure, and in some instances app development, for major clients in sports, news and entertainment. To make sure it delivers the best possible viewing experiences for all users and minimizes glitches, freezes, and other problems, MLBAM (insiders commonly use the nickname “BAM”) partnered with New Relic for end-to-end visibility into how its applications are performing and the quality of the experience users are getting. It’s difficult to be perfect at MLBAM’s scale and velocity, but experts credit the company with building a “gold standard” digital streaming video infrastructure—with New Relic baked into its full technology stack, including mobile, browser, and core cloud infrastructure. America’s pastime may conjure images of pastoral afternoons quaffing beverages and noshing on hotdogs, but Major League Baseball actually boasts a long history of technical innovation. Baseball was the first sporting event broadcast on the radio in 1921 and the first sports game aired on television in 1939. In the 21st century—thanks in good measure to MLBAM—baseball continues to be a hotbed of pushing the boundaries of cutting edge consumer technology. Today, MLBAM is an online giant, powering some 10 million live streams daily. MLB.com estimates its owned and operated properties attracted roughly 25 million daily visitors and its wildly popular and successful MLB.com At Bat app logged more than 6.9 billion total minutes used by fans, making it the top mobile sports app in 2015. MLBAM also tracks state-of-the-art game and player analytics via Statcast powered by Amazon Web Services—made available to teams and fans through digital platforms and TV broadcasts. When the TV play-by-play announcer says a ball thrown from the shortstop to the first baseman traveled at 76 mph and hit the first baseman’s glove 37.4 milliseconds before the base runner got there, that’s data MLBAM helped measure, collect, and manage in real time. Leveraging its market-leading expertise in digital media distribution, MLBAM has become “one of the world’s top tech players,” according to CBS News. Like all highly successful endeavors, success means scaling, and MLBAM is no different. As MLBAM continues to grow its digital fan base, and its roster of big league clients, the company relies on Amazon Web Services for scale and agility, and New Relic for smooth integration and visibility. MLBAM teams naturally turned to New Relic APM and New Relic Browser to help ensure success of their cloud strategy. “New Relic plays an important role for us in being the partner that helps us refine our ability to measure the effectiveness of our applications,” says Curtis. With New Relic and AWS, scalability is a whole new ball game. Clearly, scaling is critical for MLBAM, which has led the company to embrace DevOps, the cloud, Amazon Web Services—and New Relic. In 2014 an influx of large scale live events that needed to be executed in a short window, even sometimes simultaneously, led MLBAM to engage with AWS to handle “overflow” scaling needs, and based on that experience subsequently settled on AWS as its primary scaling strategy. However, MLBAM’s cloud vision was broader than simply accessing on-demand compute, storage, and networking resources. “The cloud allowed us to not only scale our applications, but to scale our organization as well,” says Christian Villoslada, vice president of software engineering at MLBAM. To speed application development, the company began taking advantage of new engineering and operations tools and approaches, including DevOps and agile development. New Relic dashboards play a critical role here. "All of a sudden it was just like the stadium lights went on and we could see the whole field. We could see every single play that was going on. It was just an awesome amount of visibility into how our stacks were performing. That’s the biggest gain that we had. I would not want that to go away." To better manage the cloud transition, MLBAM transferred internal ownership for all of its services away from its central operations team to the individual development teams that build each service. These largely autonomous development teams now are responsible for everything about their services: code, test, deployment, and production support. Unlike the latest fashion in ballpark design, there’s nothing manual about the performance scoreboards MLBAM built with New Relic. The company relies on a suite of New Relic products for access to an automated, full-team view of how its applications are performing. New Relic Insights, meanwhile, helps MLBAM to more easily surface data from other New Relic products. And because mobile app performance is so often affected by factors beyond MLBAM’s own backend, the company is now getting started with New Relic Mobile to track performance of its many mobile apps, says MLBAM’s Mike Leonard. New Relic Synthetics are also playing an increasing role, including for transactional synthetics monitoring, and MLBAM is currently considering generating its own custom metrics. Put it all together, and MLBAM now has access to automated cross-team views and metrics of how its applications are performing. Because each production team owns its products and services, each is free to choose the tools that work best for them. Tellingly, however, more than 80% of MLBAM applications running in the cloud are now monitored by New Relic. “New Relic empowers our developers to experiment and work fast without compromising on the quality of the MLB fan experience." “We use New Relic throughout the entire development workflow,” in both pre-deployment and production servers, says Vaca. “As developers work on certain features, they can go to the New Relic dashboard and see how performance is affected,” both in testing and in the real world. New Relic is also integrated into MLBAM’s continuous delivery process, where it increases confidence in deployments, and consequently improves the frequency of software releases and updates. “New Relic empowers our developers to experiment and work fast without compromising on the quality of the MLB fan experience,” says Curtis. Once applications are in production, New Relic helps MLBAM keep a watchful eye on performance, with New Relic Alerts™ notifying the appropriate technical teams any time a critical threshold is exceeded. “New Relic is normally the first thing that gives us that heads up,” Curtis says. “We can immediately address whatever is going on at that point without necessarily having users call in and complain,” he adds. New Relic also helps MLBAM pinpoint issues regarding interactions with third-party services and APIs—and like many modern operations, MLBAM works with many, many outside services. “The Service Maps feature in New Relic becomes hugely important to us when there’s something critical happening,” explains Curtis. “To have a service map provide a visual of red, yellow, or green on status, including third-party services, is great because it really increases our ability to respond quickly and consistently deliver a good experience."